Make sure you have a reliable way of keeping that pressure right on the money by adding the Blackburn Piston 3 Floor Pump to your arsenal. A steel barrel and base mean you don't have to baby this dependable tool around the shop, and a 10.5" wide handle and ultra-sized 4" gauge makes it easy to get the pressure up right where you want it. 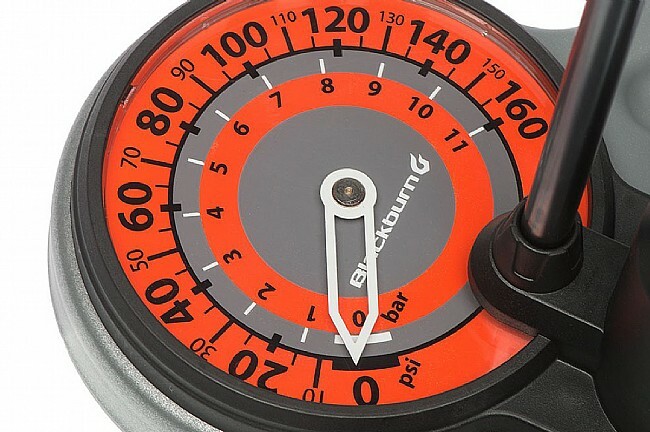 The 37" hose terminates with Blackburn's Anyvalve™ pump head that allows the Piston 3 to be used with Schrader, Presta, and Dunlop valves, and an air bleed button helps you precisely purge excess pressure for really dialing in your tires. 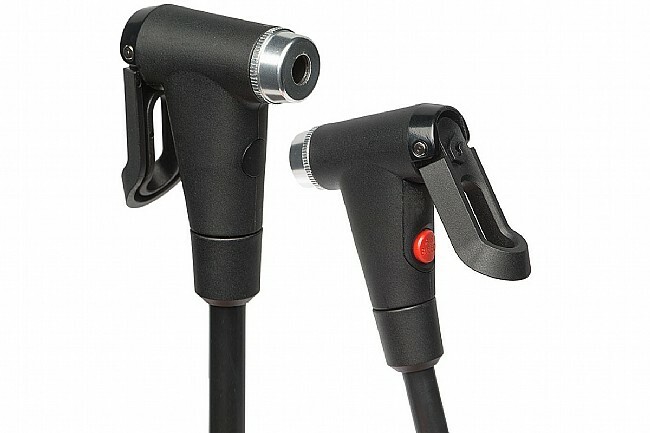 An included needle adapter lets you inflate various sports equipment as well, and when it's time to put the pump away, the hose clips tidily over the top of the handle so you're not tripping over it next time you're digging through the garage. Available in multiple colors. 670 mm. 160 PSI max inflation. Pump me up ! The Blackburn Piston 3 works for me. 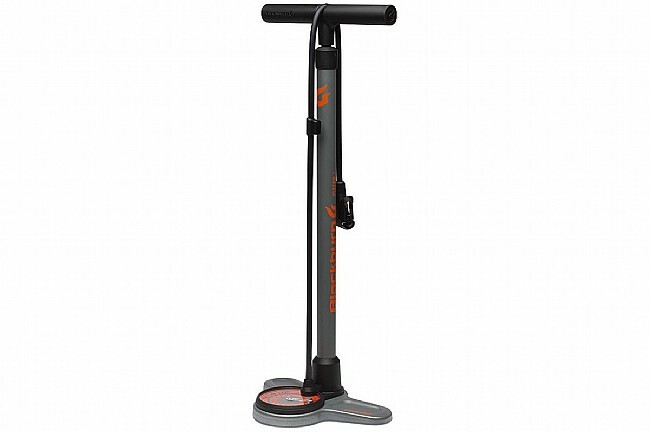 This pump requires very short handle strokes to quickly pump my Continental road tires to 120 psi. The first several times I used this pump I was frustrated because I kept exceeding the recommended pressure. Using the built in bleed valve was also tricky as it is very sensitive and will quickly release a lot of air requiring you to start over and maybe say a bad word or two. The bright orange pressure dial is great. If you can't see this dial Western Bike Works may have to sell you a Seeing Eye dog . Overall with a bit of practice this appears to be a top notch pump. I thought this would make a great pump with the large pressure gauge and capacity. 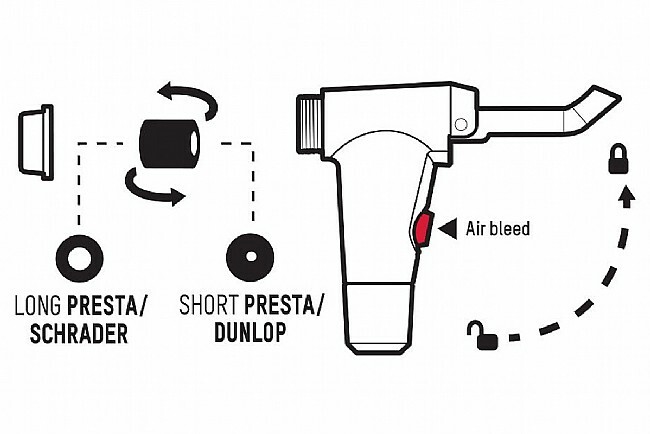 However, the presta connector on the end of the hose is difficult and almost impossible to connect to any presta valve. It either leaks or air will not go into the tube. Tried to switch the inner sleeve as instructed and it was worse. I have an old pump I was going to replace with this one that was very easy to connect to the valve. It this is Blackburn's new valve connector deseign, I will look to another brand as this is a very poor design. Returning this today.